During the memorial service for Nelson Mandela, the first democratically elected president of South Africa, Nkosazana Dlamini-Zuma hailed Madiba as someone that represents the best Pan-African values of freedom, solidarity, service to the people, equality, sacrifice, and defense of the human dignity. 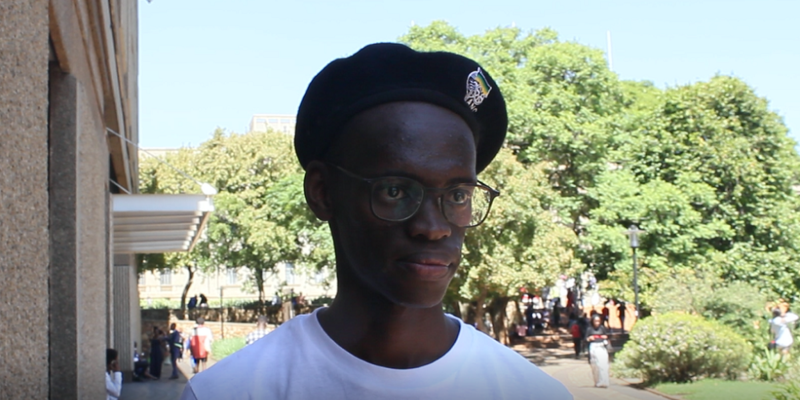 With this being the centenary of Mandelaâ€™s birth, The Daily Vox spoke to students at the University of Witwatersrand about their views on Mandela, Pan-Africanism, and xenophobia. Pan-Africanism is people from all over the world and not necessarily from Africa who believe in the culture of Africa and follow the principles of African beliefs and culture. Being African means it is not necessarily about race, it is just understanding where you come from. I believe the Out of Africa hypothesis. Everything started in Africa. 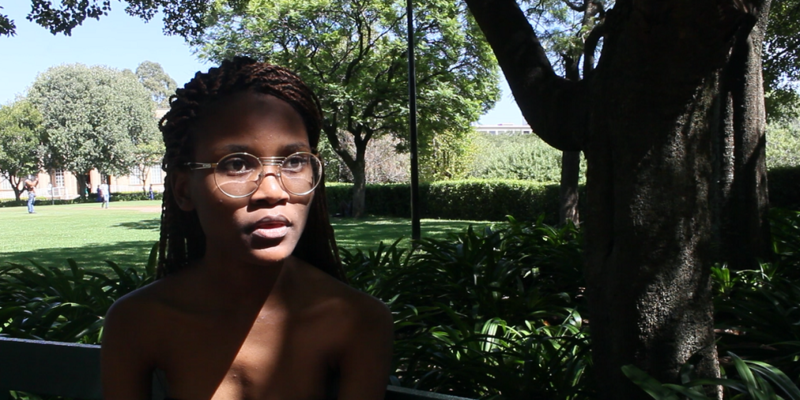 I do identify as a Pan-African because I live and breathe African in everything I do and I am not Westernised. I donâ€™t consider Nelson Mandela a hero but I donâ€™t blame him either because I think he was old at the time when he made the decision. I think he chose to give us the vote instead of the land. I donâ€™t think Mandela fought (for the end of white oppression). I think he fought for a vote for black people. What Mandela did was right and wrong. It was right in the sense that he didnâ€™t promote violence at all. He was talking to people and that was progressive. I believe that we are xenophobic because whenever people from neighbouring countries come here and because they work harder than us, I think more than anything itâ€™s out of jealousy. We need to welcome and accept people who come into our country. We are one world and should support each other. With Pan-Africanism, I know that itâ€™s believing in Africa being one unit as a continent and all countries working to boost our economy and the whole political landscape. I think that our economies are very resourced but itâ€™s not being utilised enough by Africa itself. 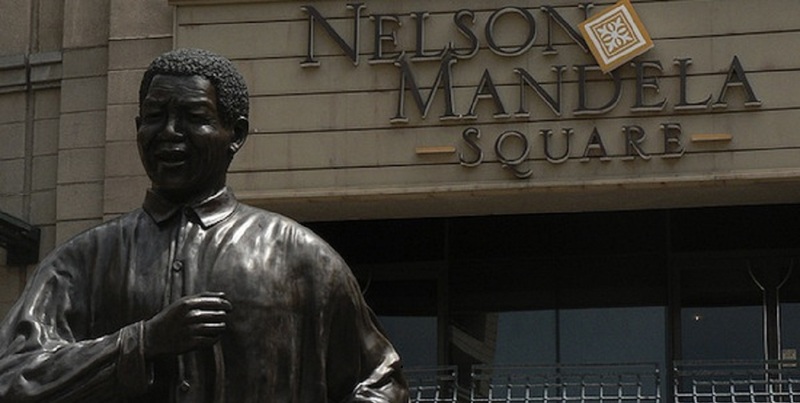 I donâ€™t really consider Mandela a hero but he is an important part of our history. I think that he sacrificed a lot of his time, along with the other people who were imprisoned. I know thereâ€™s a thought that he didnâ€™t do much to achieve democracy but I do think he had to compromise. I think heâ€™s not our supreme hero but he is important. 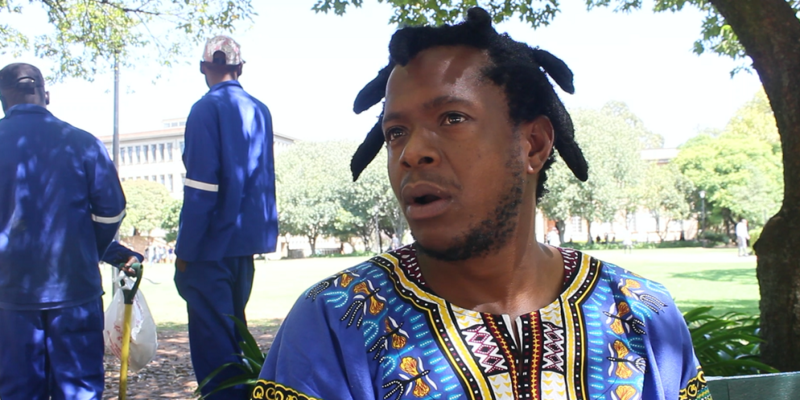 I do think itâ€™s true [South Africans being xenophobic] and I think it mostly comes with people being uneducated or people who donâ€™t know how to go about achieving resources and making a livelihood for themselves. I do think it is hard for people to collect capital and get jobs. I think itâ€™s more economic rather than social. I think itâ€™s about empowering people and I really do think if everyone is making a decent living, then the problem wouldnâ€™t be so severe. I also think social stereotypes need to be addressed. Iâ€™m not really politically inclined but Pan-Africanism is basically the whole of Africa should be one. We are all Africans together, yet we are so separated in our beliefs. I think to be African is to be very diverse. 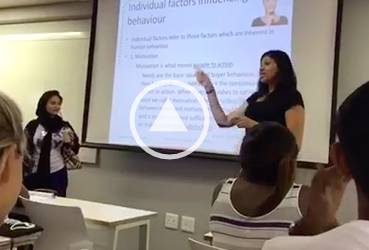 You have to have the ability to be culturally and linguistically diverse. You have to have the ability to be tolerant of other cultures. Itâ€™s always going to be important that we take an interest in the cultures of others. You canâ€™t be single in your ideas and you have to be broad-minded. I think Nelson Mandela is a good face for the movement even if he isnâ€™t necessarily the hero himself. Before Nelson Mandela sort of came to bring our country together, apartheid was a complete nightmare for a lot of people. I feel that Nelson Mandela didnâ€™t do everything single-handedly, he was the face that brought the country together irrespective of your race. I havenâ€™t really experienced xenophobia although I do believe in the poorer communities it is more prominent. I believe itâ€™s because people are scared. Xenophobia is unfair and we as Africans should stand together. The issue is I donâ€™t know how much we can do for other people when we canâ€™t even help our own people. We have to sort out our own resources first before we can extend that to other people. Pan-Africanism is unity especially within the black people in Africa. Colonialism fragmented us as Africans and we lost touch with who we were and borders were imposed on us. Pan-Africanism is bringing back that unity, politically and socially, and pushing our agenda as black people; as the oppressed. What kind of responsibilities do we have and are we assuming those responsibilities and executing them the best of our abilities. I identity as an African and if that makes me a Pan-African, then yes I am a Pan-African. Whether you come from the north or the south as long as you are black, I identify with you. Mandela played his part but I wouldnâ€™t necessarily say he is a hero for reasons like look at our economic situation as black people. We are still at the bottom of the food chain. The only thing is we now can eat with white people in the same restaurant and you swim with white people. Iâ€™m not saying I blame him but he laid the foundation and is accountable for what is happening. We were conditioned to hate each other as Africans so when people from other African countries come here, we are conditioned to think that they are stealing from us. Our anger is misdirected. Itâ€™s a mental state then we fight against each other. By Pan-Africanism I understand a continental approach to African problems and finding African solutions to African problems and consolidating a way forward for Africans forged by Africans. 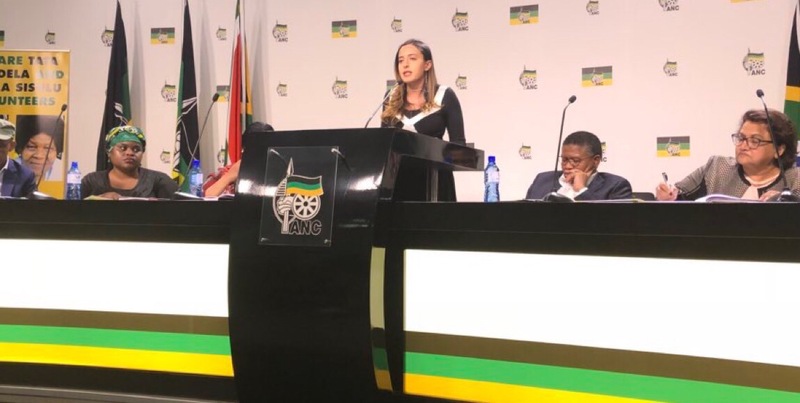 I do identify as Pan-African especially because the organisation which I find my values are deeply entrenched are the ANC and I find weâ€™ve embarked on a Pan-African approach to economic trade and development. I think the role that was played by Nelson Mandela in delivering a non-racist and non-sexist South Africa is one that can never be downplayed at all. Nelson Mandela has played his part and now itâ€™s up to us the future generations to take forward the dream of an equal South Africa, economically and otherwise. The last push towards the era of Madiba magic has come from Cyril Ramaphosa. We just might be on our way to seeing another Mandela in our president Cyril Ramaphosa. I donâ€™t think weâ€™re xenophobic. I think we embrace the spirit of Ubuntu even to our own detriments at time. I think the issue of xenophobia is bread-and-butter politics. I think once cross-trade issues are sorted out and solutions are developed then we can sort out a lot of issues that stem from xenophobia. Additional reporting by Rumana Akoob.